The Horse and Groom is a unique 17th centery country pub, restaurant with bed & breakfast located in East Ashling near Goodwood and the South Downs in West Sussex At the heart of a good pub you will always find the hosts,this is especially true of The Horse & Groom. Mike Martell acquired The Horse & Groom in September 1994 and has run The Horse & Groom for over 20 years, carrying out substantial renovations throughout the building during that time. Mike & Michelle Martell have worked hard to build a hospitable and pleasant place to have a drink, meal or a pleasant break, making sure that their guests experience good quality food and drink in simple, traditional surroundings whilst enjoying value for money. 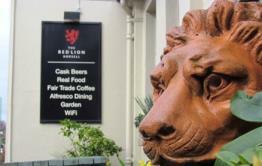 When entering the bar for the first time guests are immediately made to feel welcome and at home by the friendly staff. The red bricked walls, flag stone floors, scrubbed wooden tables, inglenook fireplace, wood panelled bar all help to evoke a cosy, familiar feeling like you have always belonged there. Mike has built an enviable reputation for his cask beers over the last decade. His secret lies in his constant pursuit of perfection, his cellar skills and the cellar itself. Unlike many 'corporate' and more modern pubs, the Horse & Groom has a traditional underground cellar so the beer is kept at a constant temperature. A constant temperature ensures a better beer taste whilst raising the beer from the cellar by traditional hand pump improves the presentation of the beer in the glass. 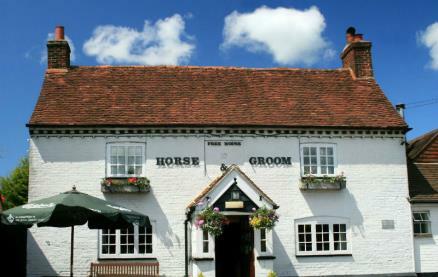 Eating at the Horse & Groom restaurant is special. 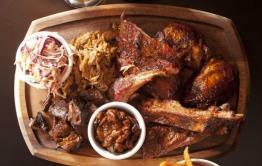 Diners enjoy home-cooked food in the pub's rustic restaurant, which is framed by flint walls and old timber beams. Large double doors open out to the enclosed garden, which is the perfect place for alfresco dining. The menu is hearty and diverse and includes regularly changing specials and seasonal local ingredients sourced from reputable suppliers. Whether you prefer beer or wine, if the weather is right you can enjoy your tipple in the fully enclosed garden to the rear of the pub.The Horse & Groom is located about 2 miles outside of Chichester on the B2178 Funtington road. 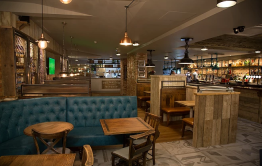 Be the first to write a review and share your experience at The Horse and Groom (Chichester) with other diners.